Does Fasting Have Any Effect on Our Microbiome? Why an article on intermittent fasting, you might ask. If you followed our website, you might know that our topics focus on the human microbiome, fermented foods, probiotics, and relates these to human health. You might be wondering what intermittent fasting has to do with microbiota? Well, there is a very strong connection, and intermittent fasting is scientifically proven to affect our microbiome. But we’ll talk about this in a bit. Intermittent fasting is not a new thing discovered by doctors and nutritionists, it is a practice that predates our known history. The food gatherer was forced to fast, as the food was not available all the time. Sometimes it took days on a low calorie regime, until the hunter could bring food for the family. However, fasting as a deliberate practice is not new either. Many religious practices encourage their followers to fast on a regular basis. Muslims have Ramadan, Christians have the Lent and all the Fridays throughout the year, and Buddhists fast as well as method of self-control. But that is not it, many other religions practice fasting. There is a widespread opinion that the religious act of fasting is a spiritual act, but what if the initial purpose was purely medical, a preventative measure? Medical fasting is not a new thing either. According to Britannica, medical fasting was used at least since the 5th century BCE, when Hippocrates recommended fasting for patients in some cases. Fast forward to modern days, medical fasting is getting a lot of attention as an efficient and inexpensive way to treat many ailments related to metabolism, such as obesity and diabetes. You might be practising intermittent fasting without knowing. Some of the breakfast skippers are fasting effortlessly. This is actually one of the easiest intermittent fasting schedules to follow, because it comes almost naturally for some, but more on the schedules in the dedicated section. Calorie limitation is the only regimen that can, not only lengthen lifespan but improve the quality of life. The mechanism of fasting is still controversial. What is known though, is that the gut microbiota has been shown to have a critical role in the health of the host. Furthermore, the structure of the microbiota can be easily shaped by diet. Do you see the link? What intermittent fasting has to do with microbes in our gut? Or, as some might ask: “Do I kill my friendly bacteria during fasting?” According to the research on mice at the Center for Genome Sciences and Department of Medicine from Washington University School of Medicine, fasting has a beneficial effect on microbiome composition. After the fasting period, the research team has observed a shift in the microbiota composition, with an increased number of Bacteroidetes microbes. We discussed the microbiota composition subject in the article about probiotics and weight loss. That means that fasting not only helps you lose weight on a short-term, it also helps your body maintain a healthy weight by balancing your microbiome. But there is more to it than that. Reduced oxidative stress – The accumulation of oxidative radicals in cells is reduced by fasting. This is one of the best ways to prevent oxidative damage to cells. It is the best way to stay young and healthy even when aging. Insulin sensitivity is increased – Fasting increases insulin sensitivity and lowers blood sugar levels. Type 2 diabetes can be reversed with a calorie restriction and specific diet regimen. Mitochondrial energy efficiency – Fasting also improves mitochondrial energy efficiency, thus slow down aging. Furthermore, mitochondria have a critical role in insulin resistance, cardiovascular diseases, and metabolic functions. Improved response to stress, disease, and aging – During fasting there we induce a cellular stress response similar to the one induced by exercise. This stress stimulates cells, and that increases the capacity to deal with stress and protect against disease and aging. Here is an extended list of fasting health benefits. Boosts neuronal autophagy, very important for preventing neurodegeneration. Reduces the amount of cell oxidation, mitochondrial dysfunction: more info here. Prevents age-related cognitive decline and memory loss, check this article for scientific evidence. Fasting lowers the risk of certain cancers, according to this study on mice. Increases the level of human growth hormone production, here is a study. Many benefits of fasting come from improving physiological functions. Other benefits come from rebalancing the gut microbiota. The key is to combine fasting with a healthy diet, but more on this later in the page. Fasting is a great alternative to popular diets because it doesn't require inconvenient eating schedules, which demand that you eat 4-8 times daily. Fasting is great for weight and fat loss because it depletes our glycogen stores. 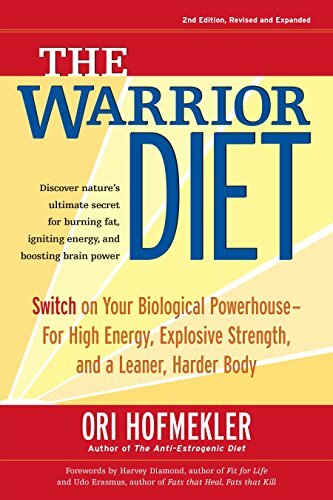 By depleting the glycogen, our body is forced to use the next in line energy source, body fat. The adherence rate of intermittent fasting is very high, compared with regular calorie restriction regimens. Regular diets require the subjects to restrict their calories every day, and this causes people to give up. With intermittent fasting, you only restrict calories for a limited time, and then you can overeat. Here is a study on alternate day fasting. There are numerous studies that show intermittent fasting as an efficient and healthy way of losing weight. No side effects like with weight loss drugs. Body fat, which is converted into free fatty acids and glycerol. Glycerol gets then converted into glucose for energy. Our liver depletes its glycogen stores between 6-24 hours of fast time. Time depends on a few factors, like genetics, BMR, (basal metabolic rate), gender, and your glucose needs. Maybe even more remarkable is the leptin/epinephrine/norepinephrine regulation. Leptin is responsible for regulating the amount of food we eat. A low level of leptin tells your body it needs food. A high level tells your body it doesn’t need food. The levels of leptin also control the hypothalamus to inhibit appetite. The mechanism is not fully understood yet, but it looks like in fasting state the trio leptin/epinephrine/norepinephrine is atypical, showing a significant increase in leptin. Another research study here. You probably heard this a few times, but you weren’t given any explanation about the reasons behind it. Take it slowly; do not try to lose too much weight at once, and do not reduce the calorie intake drastically. Yes, you can lose weight faster but it will never last. You will gain all the weight back very quickly. The reason is that you are dieting while your body produces leptin. There is a theory that too much leptin released in our bodies, creates an effect similar to insulin resistance. The body releases leptin but it doesn’t react to it. This is what happens in obese people, they produce high amounts of leptin, but that doesn’t help regulate their energy intake. Here is an interesting article about high levels of leptin in obese people. As with every other diet regimen, we need to take it slowly. We need to allow our body to gradually adjust to the restricted calorie schedule, otherwise we can end up gaining more weight in the end. In my experience, and discussing with other people as well, the best schedule for weight loss is to stop eating at 6:00 PM. You have 14 hours of fasting, between 6:00 PM and or 8:00 AM. 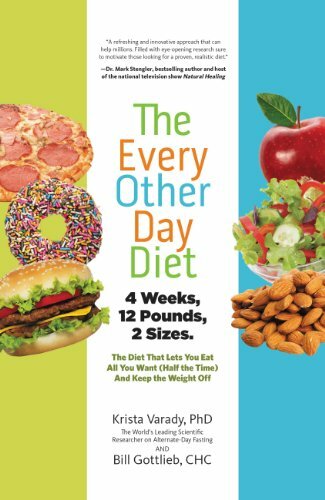 This schedule allows you to eat 3 times per day, every three hours, or so, and have a decent meal every time. Obviously, if your goal is to lose weight, combine this with other lifestyle changes, for efficiency. But I’ll give you more info later in the page. This is a reduced fasting schedule, and it should work for most women. For males, if this doesn’t work for you, and you don’t get any results, add one or two hours to your fasting time. Read more about this on the gender adjustment for fasting schedule. Try Reverse Dieting – the theory is that when you reach the plateau, you need to increase the number of calories, so you revitalize your metabolism. Eat more protein and less carbs. Drink a lot of water, if you are dehydrated, you will crave food. Do more resistance training and less cardio. If you are over-training, (over 8 hours a week), cut the training in half. This will help you pass the barrier. Take a week off of your training. Many people are still stuck in the “5 meals per day” routine. While the routine is not bad, it has its limitations. There are great advantages to fast as an athlete: burn fat more efficiently, muscles recoup faster, more stamina while exercising. Here is a little explanation of how it all works. Once you have burnt through your glycogen stores during your fast, the fat is the next source of energy, and your body will start to use it. This is when you burn fat. That means that by fasting we allow our body to reach to its stored fat. This is our goal. At this point, if you work out it’s the best, you burn most fat. Do I Burn Muscle on Intermittent Fasting? Your body is designed to preserve muscles, and it will only use that as a last resort when no other energy source is available. Intermittent fasting is a great way to improve your athletic performance. The main concept of intermittent fasting is that instead of eating your meals throughout the day in 4 or 5 rounds, you eat your food in two meals. Let’s say your typical daily plan is 1500 calories, you are not going to space that out throughout the day, but you’ll split that into two meals, maybe 700 and 800 calories. The main goal is to fast for at least 12 – 14 hours so that you enter in the ketosis state. For many people though, ketosis kicks in after 16 hours fast. Some people like to eat a big breakfast and then only eat dinner at the end of the day. Other people are not big breakfast eaters, so they’ll skip breakfast and eat lunch and dinner. Whatever your preference is, make sure you get the minimum 12-14 hours fast. In conclusion, you don’t have to starve. You will enjoy two big meals, or even three if you are on a 12:12 schedule and the schedule works for you. What is the best fasting schedule? There is no wrong or right fast diet plan. All work, but you have to find which one works for you. First of all plan ahead of time and make sure you don’t modify your and your family’s schedule for fasting. There are many possible fasting schedules; you can adjust for your internal clock and your family. If a schedule doesn’t work for you, just change it, try another one. You will eventually find the one that works for you. Another Alternate-Day protocol is promoted by Dr. James Johnson which is very similar. Dr. Johnson describes a two weeks induction phase, which is the most important phase. During this period your body turns on the SIRT1 gene, the "Skinny Gene". 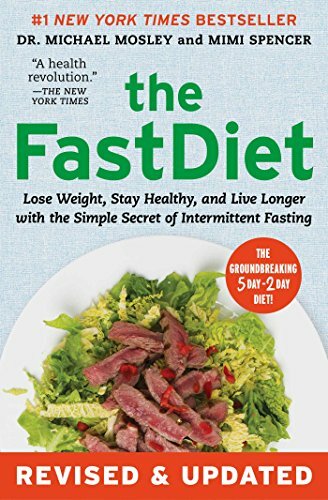 The Amazon book is great, and it has a different perspective on fasting, making it a great choice for Dr. Varady's, book. Eat Stop Eat intermittent fast schedule was promoted by weight-loss guru Brad Pilon, and this schedule proposes a 24 hours eat, followed by a 24 hours fasting period. The difference between Pilon’s and Varady’s schedules is that the Eat-Stop-Eat requires a no-food at all during the fasting day, as opposed to the 500 calories with Dr. Varady’s program. The program was put together by Adam Steer, NSCA-CPT, following the Brad Pilon's diet schedule, and adopting a more scientific approach. Because this schedule is more drastic, it tends to give better results overall, but it is harder to follow. All the benefits of intermittent fasting can be obtained in a shorter time by females. Females can compress the fasting by two hours. Because the metabolism is slightly different between genders, the fasting window can be adjusted as much as from 12 hours to 24 hours fasting. Even as an athlete you can benefit from intermittent fasting. You can actually build muscles, get perfect definition, and lose all the excess body fat. You need, however, to adopt a healthy diet, and eat real food, and avoid as much as possible junk food. Some of the intermittent fasting authors think that it doesn’t matter what you eat, as long as you respect the fasting schedule. In my experience though, eating real food makes intermittent fasting more effective. You tend to eat fewer calories with quality food because the food is full of nutrients. Take the paleo diet model and adapt it to your lifestyle. The paleo model is a bit strict for most people, but you can bend it a bit, so you don’t feel your regimen as a punishment. As a general rule, make sure you base your regimen on fat and protein and take your carbohydrates from fruits only. Do not eat sugar, avoid bread, and pasta. Avoid alcohol as much as you can. If I were to sum up the above in three words, those words would be: “Eat Real Food”. Here are a few examples of real food: healthy carbohydrates from fruits and vegetables, foods high in saturated fats, and real proteins like meat and eggs. Lean protein, healthy fat, (avocados, nuts, coconut oil), veggies, and fruits, sweet potatoes, and two debatable food groups: potatoes and legumes. Many internet resources will tell you to avoid the potatoes and the beans. If you are healthy and you have a balanced microbiome, these two foods are great as a source of resistant starch. Resistant starch is an amazing indigestible carbohydrate that will help your well being. Here is an article about resistant starch as a prebiotic. Avoid sugar, alcohol, dairy, grains. “I can’t do intermittent fasting”, said to me one of my friends. “My blood sugar would drop too much and I would faint.” “And I can’t be without food for so long, I turn into a little monster.” The fact is – we are conditioned by society to think that we have to eat all the time. This is not true. Science has now established that fasting is not detrimental for our health at all. On the contrary is beneficial, as shown. It is not easy in the beginning though. The anxiety, the hunger, the subtle transformations in your body will make you think you can’t do it. You don’t have to start with a full fast, you can start slowly. Many people who experimented with fasting say that the best success rate is by starting with trial fasting. Trial fasting is just a way to intentionally experience hunger and to allow your body and mind to overcome the natural self-preservation instinct. To test how you react to food restriction, first make a note of your eating schedule. Then remove one meal from your schedule. Do this a couple of times per week, as a test. Then, as a next step do one full fast per week. Then you can do a full cycle. As an introduction to intermittent fasting, you can start by skipping meals. If you are not a big breakfast eater, this is the best meal to skip, and do not eat until you get hungry. You can do this as part of a plan, to get used to the regimen, or spontaneously, whenever you are not hungry. As a general rule, fasting or not, you should extend your fasting periods as much as possible until you get hungry. We don’t need to eat every 3 or 4 hours every day. We need to feel hunger; we don’t have to eat according to a schedule just because we are conditioned that way. Just skip lunch, or dinner, if you don’t feel hungry. Or skip a meal if you are hungry. How long do I have to fast? It depends on your objective, personality, and lifestyle. If you reach your goal, you obviously ca stop. However, most of the times intermittent fasting becomes natural, and you will resort to it whenever you need it. You don`t necessarily need to fast all year round. You`d rather enjoy life, and only fast when you need it, or on a yearly cycle, as a prophylactic measure.